Raise the schooner! Stretch the preventer! Five degrees to starboard! 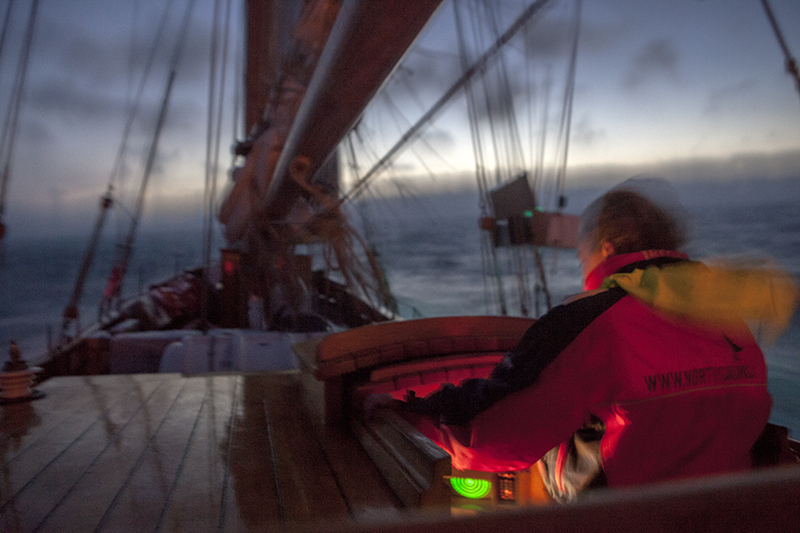 The hurricane-like Föhn Wind sailed our ship The Hildur seven knots into the world's longest fjord. The first settlers witnessed the same thing I did, after a 48 hour voyage across the Greenland Sea. I don't even have to check the history books. 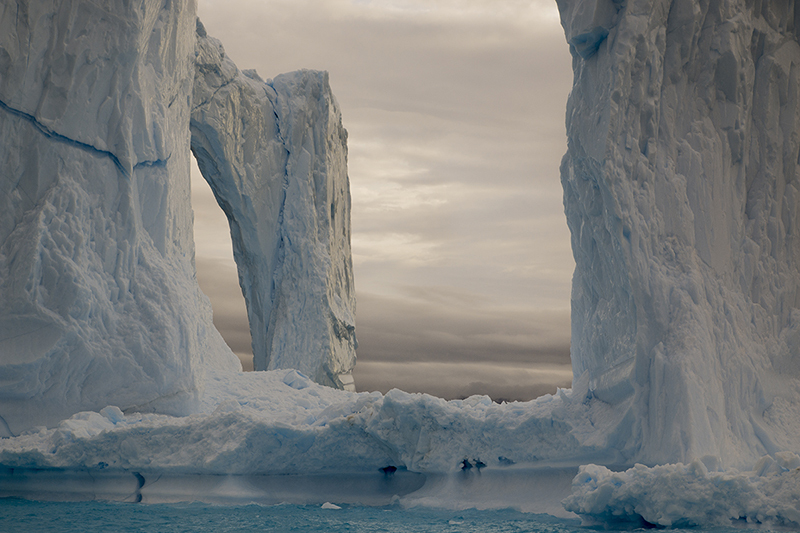 The only possible time to arrive is summer, when the sea-ice finally opens up. At the mouth of the infamous Scoresby Sund is a settlement of 438 people with a long name (Ittoqqortoormiit) but a short history. The town of Ittoqqortoormiit was established in 1925 by the government of Denmark to claim territory over northeast Greenland. To inhabit what was to become the world's most isolated town, eighty Inuits from Ammassilak -- the nearest town 500 miles away -- were, in a colonialist manner, shipped to latitude 70° North with hunting knifes, harpoons and building materials from Denmark. What met them was not snow or glaciers or Santa, as the tourist expectations run, but rocks: alpine mountains and stones formed no less than five million years ago. In this high-Arctic climate, the highest trees are Dwarf Willows, taking decades to grow even a few inches long. The more likely explanation for these alleged “old spirits” is that they were a case of manipulation by Danish missionaries. The settlers were given wood so they could "voluntarily" build a church to keep the supposed spirits away. The church, built in only two years, is still the main landmark in town and the oldest remaining building. As a Sunday morning activity, I strolled to Mass at ten in the morning. I arrived to meet a party of two people: The priest and a toothless man with a beautiful voice. Besides the occasional "Amen", I did not understand a word of the gospel. The priest signaled with his hands when I should stand up for prayers. The old man could no longer take part in such exercise but instead sang for the two of us. After the ceremony, the priest came up to me, shaking my hand, thanking me for coming. "We usually have more people," he said, "like the organist. He just had to go hunting." My favorite word this summer was "Greenlandic" and this was my most Greenlandic experience; the Inuit way of life blending in with the institutional life imposed upon a traditional hunting society. The organist hunted two musk oxen. "Come back next week for the music." And I did. Set in an isolated town in the High Arctic, Welcome to Greenland, We are Now Serving Tofu tells the story of two young adults, Donny and Nanna. 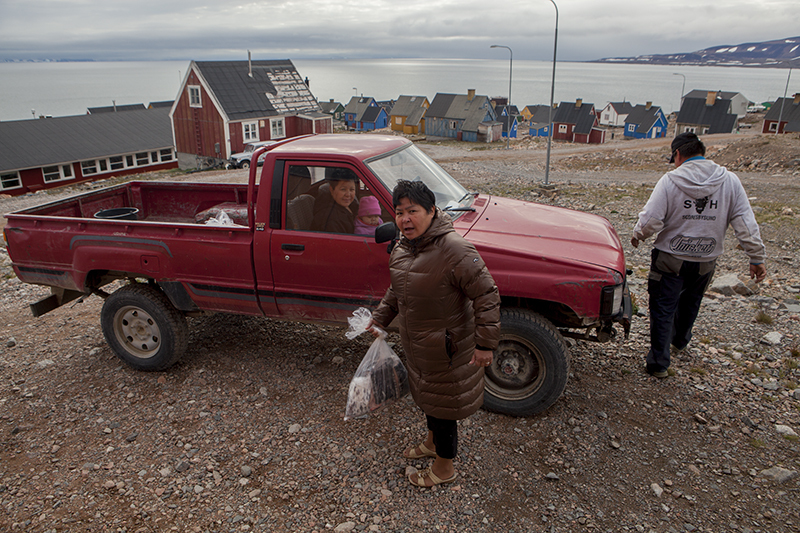 The film follows them over several months as they try to find their place in Ittoqqortoormiit, one of the last remaining hunting communities in Greenland. Egill Bjarnason is a Fulbright Foreign Student grantee from Iceland who is pursuing a Master's degree in Social Documentation at UC Santa Cruz.